So Lonely in Gorgeous: Happy Hinamatsuri! And a Girl's Day Look! Today's Hinamatsuri or Girl's Day in Japan. This festival celebrates young girls and their future happiness. One of the customs of this festival is to display a set of Hina-ningyou (hina dolls). It's believed that these dolls can capture evils spirits and protect girls from bad luck. Another custom is to drink Shirozake (white sake)...for the adults of course; and eat colorful foods like Hisimochi (colored mochi), Hina-arare ( puffed rice snacks) and Chitrasizusi. The three main colors of Girl's Day are: green (symbolizing growth), white (symbolizing purity), pink (symbolizing love). Above is a photo of Hishimochi. Kinda tastes like a sesame bars but less nutty. 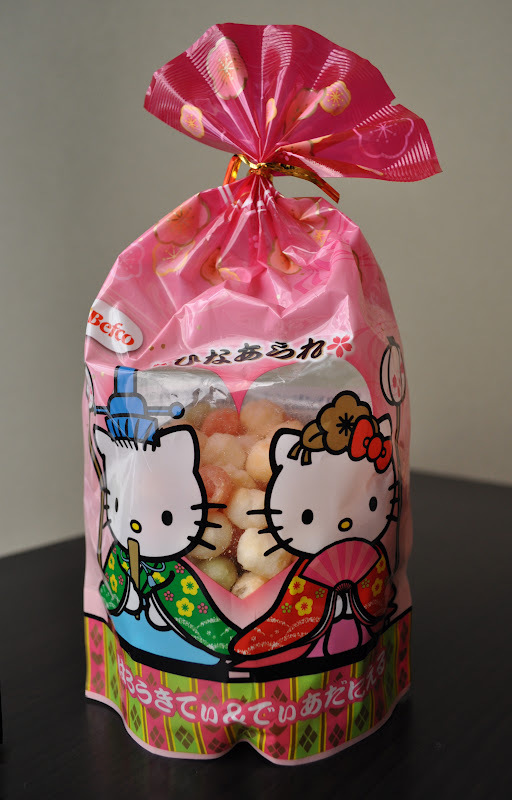 Above is Hina-arare, sugar coated puffed rice . Above is Hina-arare, but these are salty, basically little senbei puffs. In celebration, I created a Girl's Day look using one of my Chanel quads in Garden Party. 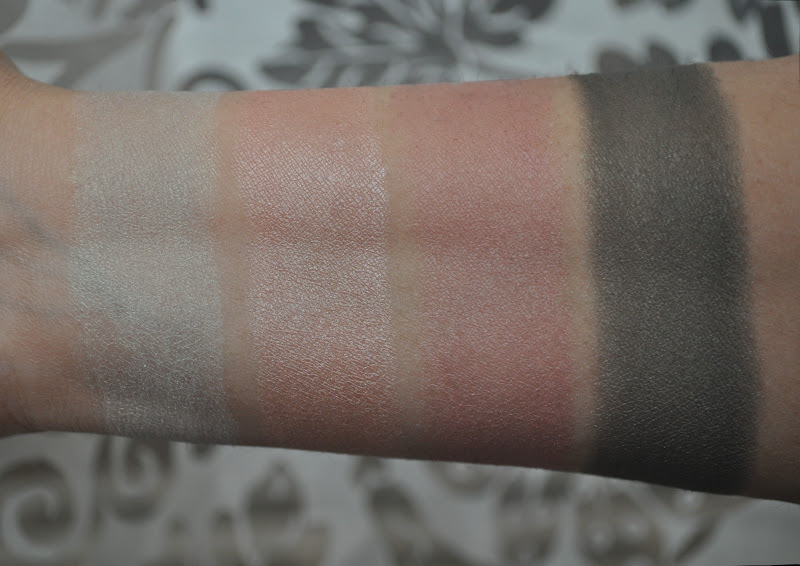 Here are swatches of that quad. A shimmery pale minty green. A shimmery muted pine green with green sparkles. Not sure if you can see, but the lip gloss has a green sheen. Chanel Les 4 Ombres Quadra Eye Shadow in 86 Garden Party, used the pale peach shadow to highlight my cheekbones and down my nose. Tarte Amazonian Clay 12-Hour Blush in Dollface. Mac Eye Shaodw in Orb on the brow bone. Placed The rosy pink from the inner half of the lid and inner bottom corner of the eye up to the iris. Placed the minty green on the second outer half of the lid and on the bottom under the iris. Placed the muted pine green in the crease and outer bottom lash line. Mac Eye Kohl in Fresh Cream on the lower water line. Dolly Wink Liquid Liner in Deep Black. Mac Plush Lash Mascara in Plushblack. L'oreal Waterproof Voluminous Mascara in Carbon Black. love this makeup! i absolute ly love how gorgeous you look. 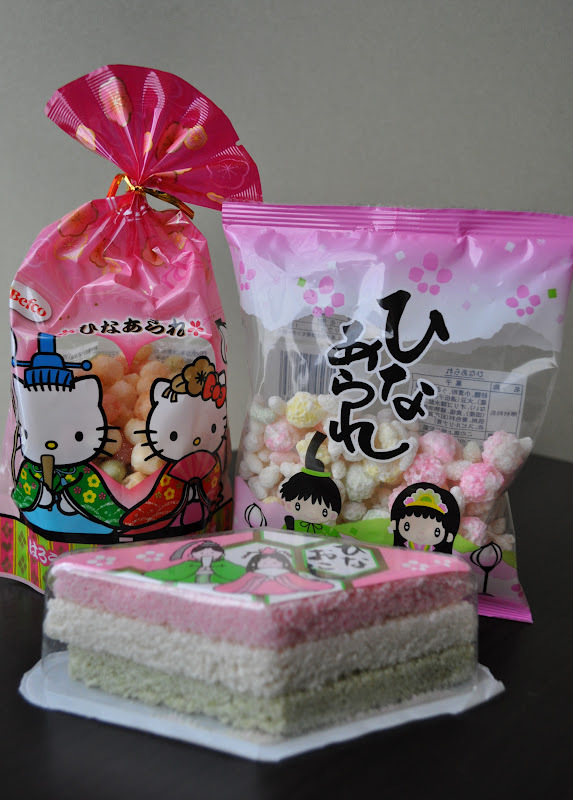 :) the japanese desserts look amazing. :) btw, i'd be honored if you entered my giveaway. have a great day! Thank you Jasmine, you've made my day :DDD entering your giveaway and I'll be crossing my fingers that I win. Another look coming soon! I'll certainly digg it and in my view recommend to my friends. I am confident they will be benefited from this website. What i don't understood is if truth be told how you're no longer really a lot more well-favored than you may be now. to be involved until it's something to do with Woman gaga! Your personal stuffs nice. At all times handle it up! I'm planning to create my own website and would love to learn where you got this from or what the theme is called. Appreciate it!